With fairly limp, flat, fine hair, I’m of course always on the impossible quest for beachy, boho-style waves. 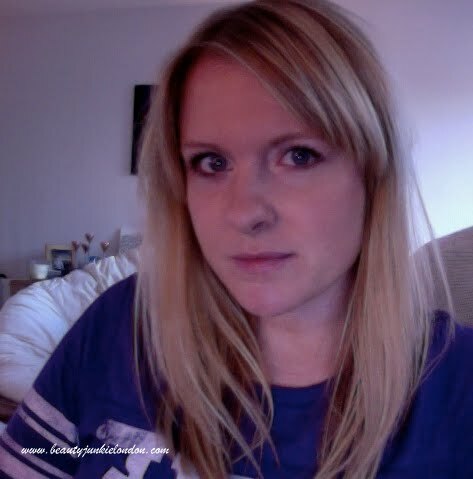 Having never tried a triple barrel styler, I was really intrigued when I was offered the chance to and it has given me hope that easy to do beachy waves may be mine! I’m far from an expert with hair, so before starting to try it out I googled for a tutorial on how to use it (it looked like some sort of torture device) and there were hundreds on You Tube. So I watched a bit of the tutorial and got started. It was really easy to use, essentially it’s just like a crimper, but creating soft waves rather than the harsh/80’s style crimps. – I sectioned the hair and started on the bottom layers. 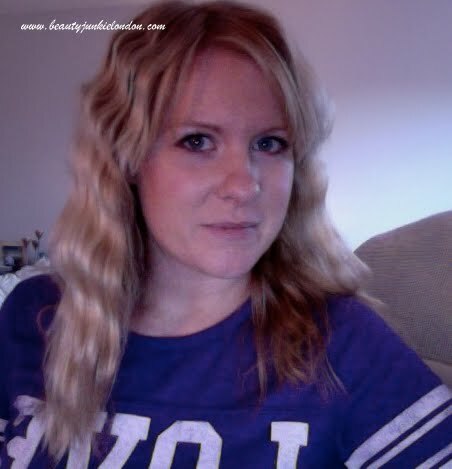 – Taking sections about 1-3inches wide and cramped the triple barrel waver in at the roots. – Holding it there for a few seconds, I then release the hair slightly and move down the hair. – When moving down the hair, it’s OK to overlap on the last wave bit you just did as it will stop the hair from looking too even/uniform. – Move through the hair and try and keep the waver parallel to the scalp so the waves look natural rather than all over the place and not natural. 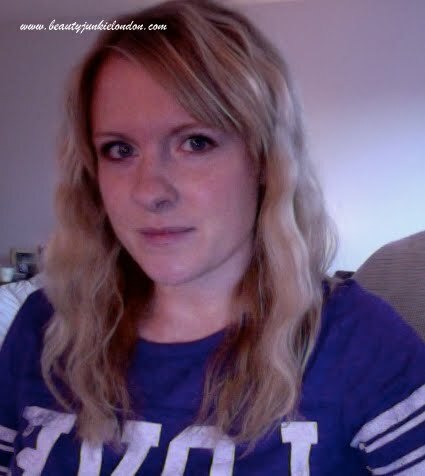 I used an Aussie heat protector spray on the hair before using the waver, to stop it from being frazzled! Definitely think this is a good idea to use some sort of protector. I also used to hairspray (a Paul Mitchell one) to hold the waves in place. Because the waver is wide it made doing the whole head really fast – which is great as I’m not the sort of person who wants to spend hours doing my hair. Life is too short! Waving the whole head took around 15mins. – How easy it is to use. – The rubber tip of the styler makes it easy to hold at the warm end, so it’s easy to manoeuvre. – The styler doesn’t have a prop-up stand as some heat stylers do, so you need a heat proof matt if you want to put it down whilst styling or when your done to leave it to cool. I’d really recommend this styler as a quick and easy way of creating a soft wave. Although I wasn’t really sure what to do with my fringe, it seemed too short to wave, but would look stupid left straight… so I gave it a bit of a wave but left the shortest bit. Not sure what I think of that, would probably wave it all next time. 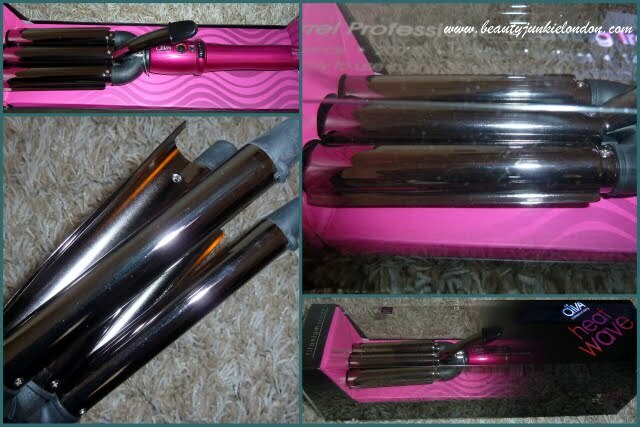 The Diva Heat Wave styler costs around £30 online. I do love the effect so could be tempted, just need to grow the bleached bits of my hair out or risk it being damaged beyond saving point first…!